Photo provided by Case Construction. Case Construction Equipment named Daybreaker Landscapes of Union, Ill., as the grand prize winner of the 2019 Kickstart Landscape Business Development contest. The company specializes in full landscape and hardscape installation, lawncare and snow removal in Northern Illinois. 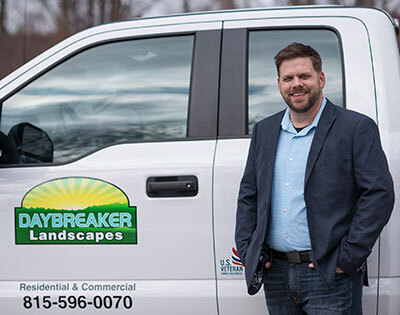 Jeff Rausch of Daybreaker Landscapes was selected for his drive, his clear vision for his business’ future, his ability to persevere through challenges and his eagerness to further learn and grow each aspect of his business. up to five passes to GIE+EXPO 2019 in Louisville, Ky.